Download "SRL Networks Presents Jai Tha Great" on The Skunk Radio Live Record Store. Jai was Born in March, 1988 in Nashville, Tennessee, USA. He started writing music while in high school to not only release his thoughts but to also keep his mind on positive things and to stay out of trouble. He is the founder and member of the group “First Class Click”. 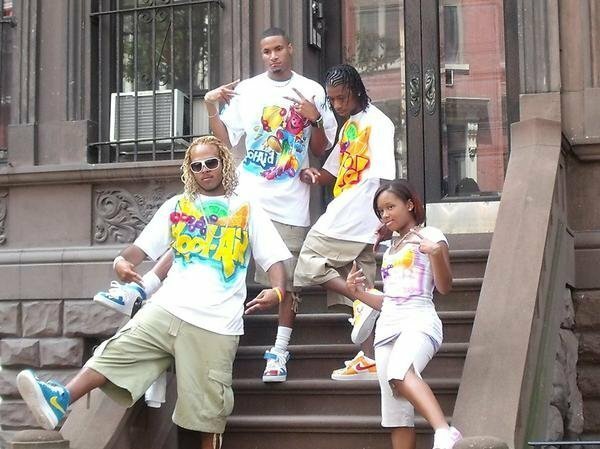 On, July 22, 2009, First Class Click performed on B.E.T 106 & Park's W.O.W and although they came up three points shy of winning, the group gained exposure that was far greater than anything they had dreamed at the time. Jai is a very energetic, caring and respectful young man. He has a unique style and sound of his own, striving to keep his lyrics clean and positive while still being able to have fun with it in the process. His goal is to help inspire positive change in the world through music. Listen out for Party While We're Young and other pop songs by Jai Tha Great on Skunk Radio Live Pop music programs.